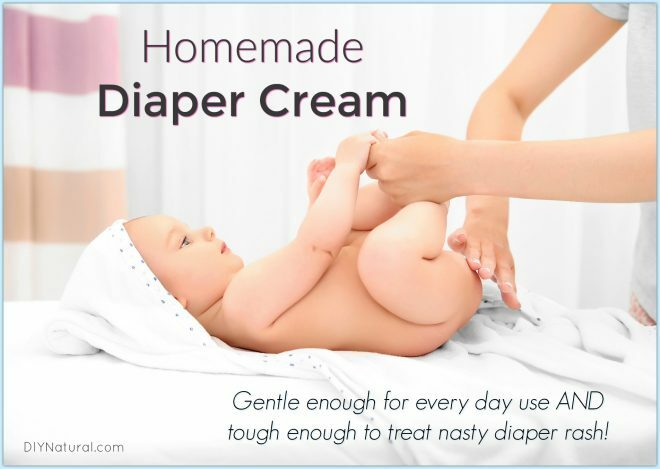 Diaper Rash: Natural Homemade Diaper Cream That Really Works! Nothing is softer than a new baby’s bum! However, keeping that bum protected can become quite tricky. Earlier this year we welcomed our second son into our family. He’s now a bouncy, full-of-energy six month old who has a knack for getting into everything. He is just the sweetest little thing, but lately we’ve been battling some serious diaper rash. It started with just a few red bumps which then spread to almost all of his diaper area. We tried natural creams, zinc based creams, and even a few of the more popular brands with no relief. Not to mention, some of these creams were petroleum based and heavily fragranced. I started to research some better ingredients that would help combat his rash and begin to heal his skin. I found a few oils and herbs that promised to work wonders on skin so I decided to gather them up and try it. 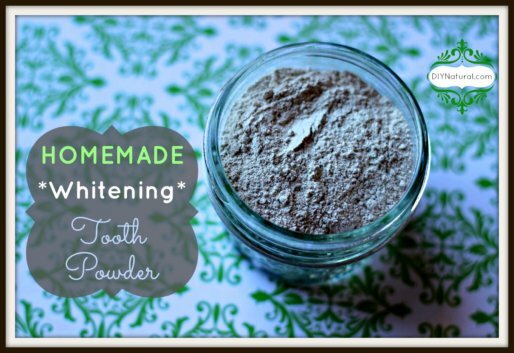 After a few attempts, I found a recipe that really started to heal his skin (and was very budget friendly to make). It all starts with an easy-to-make oil infusion. 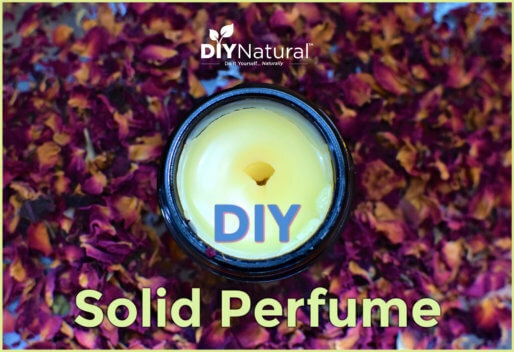 The oils I ultimately decided on were shea, olive, and coconut – mainly for their affordability and skin healing properties. Shea butter is quickly becoming a favorite of mine for skin care. Raw shea butter has antifungal and antibacterial properties. I’ve also heard that it helps combat yeast and helps skin cells to regenerate. It is very thick and makes a wonderful barrier between baby’s skin and water. Olive oil is very affordable and is also wonderfully skin-healing. It’s loaded with antioxidants, plus vitamins A and E. It penetrates easily into skin layers to help them heal while keeping moisture out. Of course, coconut oil is also wonderful for skin. It’s antifungal, antibacterial, and antiviral. It has some great fatty acids that help skin rebuild and repair too! To make these oils even better, I infused them with some organic chamomile. (New to infusing oils? Check out this post on How to Make an Easy Herbal Oil Infusion). The chamomile helps soothe skin, provides a relaxing aroma, and is also antibacterial and antifungal. 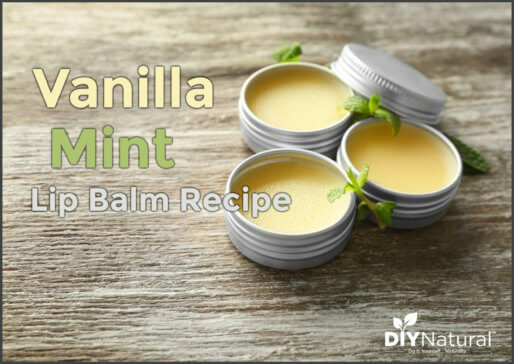 It really is a great addition to any skin healing cream. To make this cream a little more harder and protective, I added some beeswax. It helps fight bacteria and inflammation while providing a barrier that keeps moisture in and water out. It also helps extend the life of the cream and makes it last longer. I make a large batch of the cream, which usually lasts us 2 months (we use it for diaper changes, on dry skin, for my toddler, and even for myself). This recipe will make enough to fill two 5-ounce jars (with a little extra). At this point, I normally have about 10 ounces of infused oil to work with. Pour into smaller jars (I store mine in glass pyrex bowls with air-tight lids). This sounds really good. Is it a cloth diaper friendly formula? Anybody ever tested this on cloth diapered bottoms? There’s some conventional diaper creams we cloth diapering mamas can’t use because they keep the cd’s from absorbing liquid, therefore causing leaks and defeating the purpose of a diaper. This is important info to know before I go making this stuff. Yes! I have used this on our cloth diapers for about two years (now with baby #2) and notice no residue build up or waterproofing. I do strip my diapers every few months, but build up would happen much faster than that. Just use enough detergent and you should be fine. We CD- prefolds, AI2s, inserts and covers both hemp, cotton and microfiber. All have tolerated this cream for about two years now. So yes, cloth diaper safe. Just make sure to use enough detergent in your wash cycle and everything should be fine.